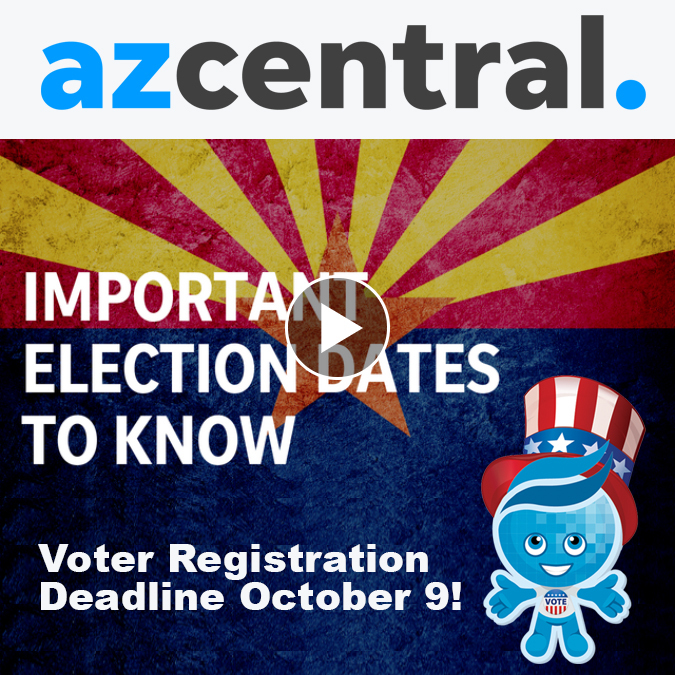 Rio Salado College | RioNews: Voter Registration Deadline Oct. 9! Voter Registration Deadline Oct. 9! Last call! October 9 is the registration deadline to vote in the 2018 General Election. It's quick and easy at www.ServiceArizona.com– if you have an Arizona Driver License or an Arizona non-operating I.D. card issued by the Motor Vehicle Division (MVD). Check out this azcentral.com story for voter resources and tips!